A Liverpudlian West Side Story: twin brothers are separated at birth because their mother cannot afford to keep them both. She gives one of them away to wealthy Mrs Lyons and they grow up as friends in ignorance of their fraternity until the inevitable quarrel unleashes a blood-bath. 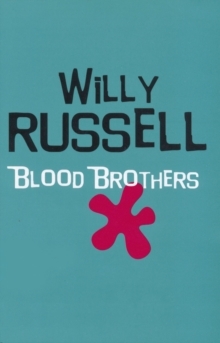 'Willy Russell is less concerned with political tub-thumping than with weaving a close-knit story about the working of fate and destiny ...it carries one along with it in almost unreserved enjoyment" Guardian One of the longest-running and most successful ever West End musicals, Blood Brothers premiered at the Liverpool Playhouse in January 1983.